Wuling Hongguang also known as Chevrolet Enjoy is currently the hot favorite of Chinese car bazaar. The car is going pretty strong there and is definitely making GM truly proud and happy. In January 2013, about 47765 units of Wuling Hongguang MPV were sold. These figures are certainly impressive. What is more interesting is that this MPV has managed to give a tough fight to Volkswagen there. A lot of mini vans there are sold by VW, but with Wuling present, it has been a bit difficult for VW to remain at the top position in this segment. The Chevrolet Sail in China has also become the best selling economy car. General Motors is also planning to bring Wuling, which would be called Chevrolet Enjoy in India during the month of March 2013. The car will directly give competition to Toyota Innova and Maruti Ertiga. Enjoy is the prospective launch of GM in India and is expected to be a major success. Enjoy will come to India in both diesel and petrol engine options. Initially Enjoy showed its face at the 11th Auto Expo. The car is powered by 1.4-Litre petrol engine, which churns out 94BHP of peak power along with 127Nm of torque. The diesel engine if launched will be featuring 1.3-Litre multijet diesel engine, producing 89BHP of power with 200Nm of torque. 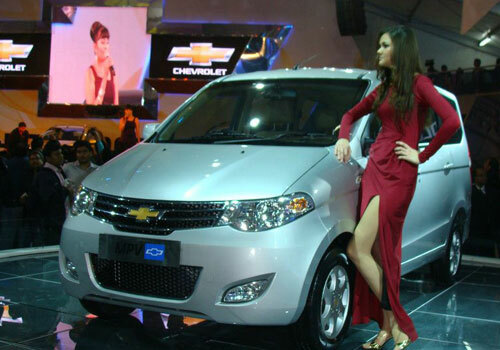 It could be expected that Chevrolet Enjoy might be a successful model for General Motors in India. Reason behind this is that the recently launched cars, like Chevrolet Sail U-VA and Chevrolet Sail sedan received utterly impressive response. Therefore, same kind of response could be expected from Enjoy as well. The price tag of this MPV is still unknown, but the official announcement of the launch and price will be done very soon. Hopefully Enjoy does work for the Indian too.